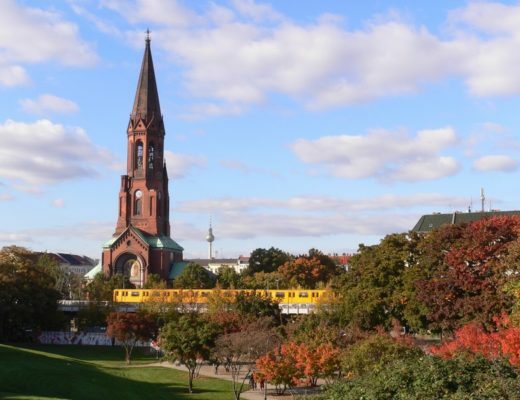 An escape to a warm climate during winter is a traveler’s dream. In this post, let your mind escape to Africa, right in the middle of the jungle, within exotic nature and giant but friendly animals. 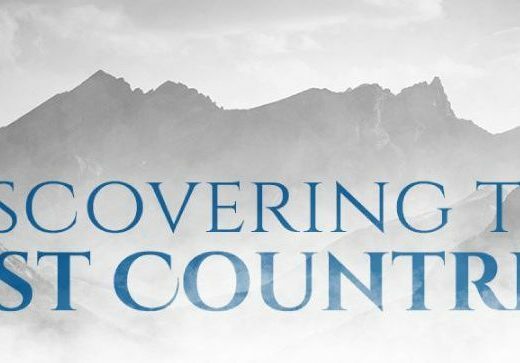 An experience to take you away from the tall buildings and bring you back to yourself. 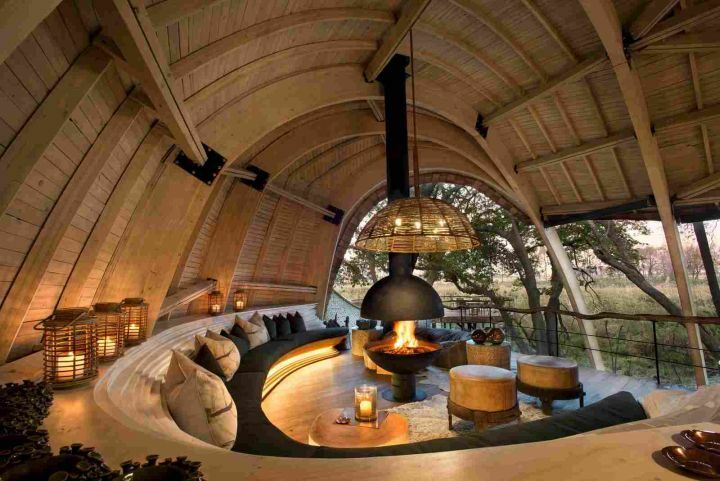 When it comes to accommodation in the the wild, there are many lodges built for the adventurous souls. Many of them are luxurious and provide a high degree of comfort, considering the surroundings. Others are entirely sustainable, preserving nature very well, intruding as least as possible. 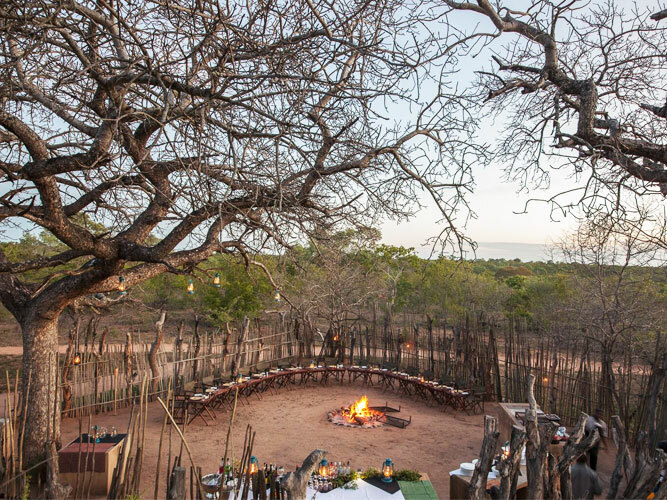 Here are eight safari lodges that can make travelers in the Nordic Hemisphere wake up in a summer wonderland. 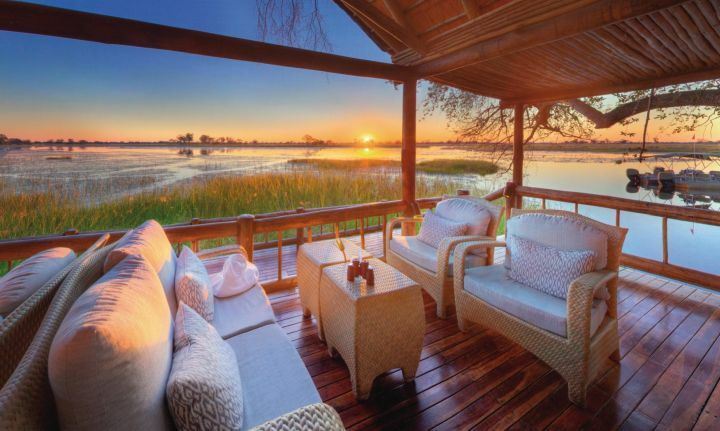 Right in the heart of Botswana, at the edge of the Okavango Delta, you will have a hard time finding Sandibe Okavango because of the ingenious way it perfectly blends with its surroundings. 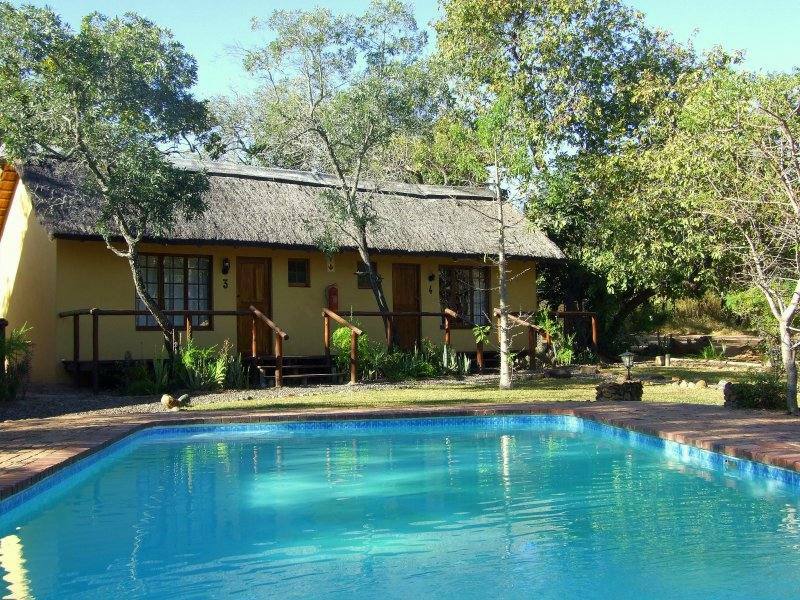 Spending some time in a cottage here will allow you to have elephants splashing in the water and chatting baboons as a background music. Let yourself be won over by the tones and textures inside the cottage that resemble the gorgeous forest around all the natural charm of Safari. You can look at the River from the king sized bed in the middle of the room, or feel the warm air from the wooden deck that welcomes you with a healthy creak under your toes. This can be the place for an intimate dinner, using only candles as a lighting source, having the complex tastes fill you with joy. You should not forget to enjoy the refreshing experience of having an outdoor shower, built in such a way that it collects and reuses the water that flows. The whole lodge is built mostly out of natural materials such as leaves and branches, having all its activity thought in order produce as least damage as possible, making sure mostly everything is reused. Location: Limulunga Road 217 Area Plot 518, 10101 Livingstone. Book your stay here. This is a different type of lodge, fitted for more exquisite guests that like their city escape to be as luxurious as their regular habits. 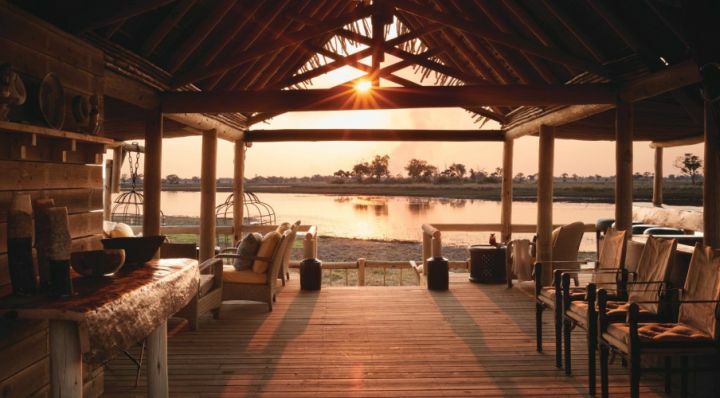 Right in the middle of South Africa, Royal Malewane is a luxury safari lodge that combines the wildlife feeling with the comfort and convenience of a modern life. 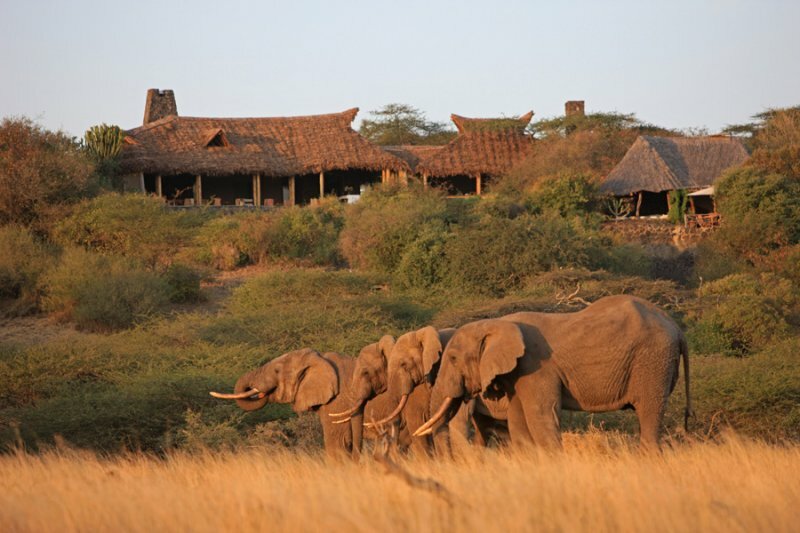 Although all the facilities are provided, your classic safari experience will not be diminished. You are surrounded by all the right people, as right here there are some of the most qualified guides in all Africa. 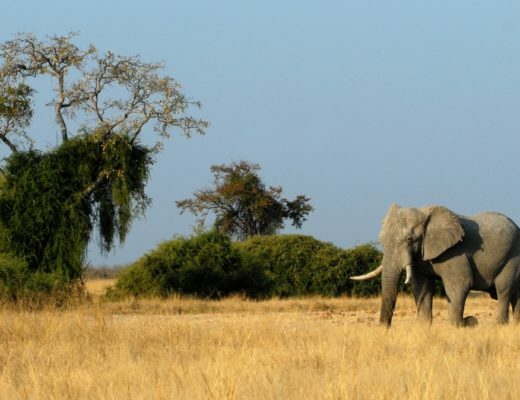 They will provide you precious insights and a lot of details of the complex and magnificent ecosystems of Africa. 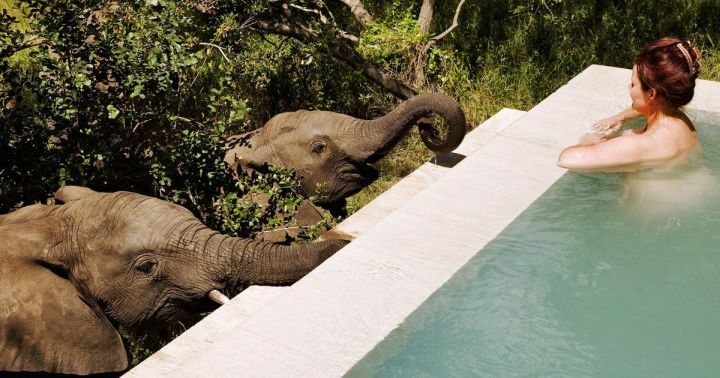 Be prepared to be thrillingly close to animal fights but also have the proper mindset for a relaxing treatment at the existing Spa and some marvelous taste provided by chefs. 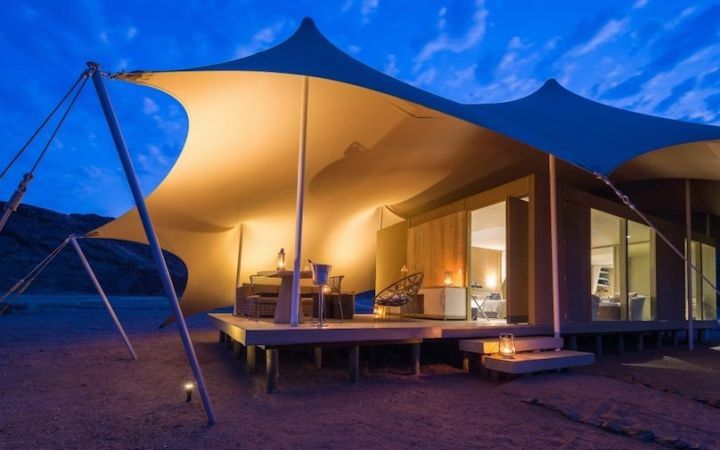 Having adventurous days and loud nights under the African stars- a genuine getaway to say the least. 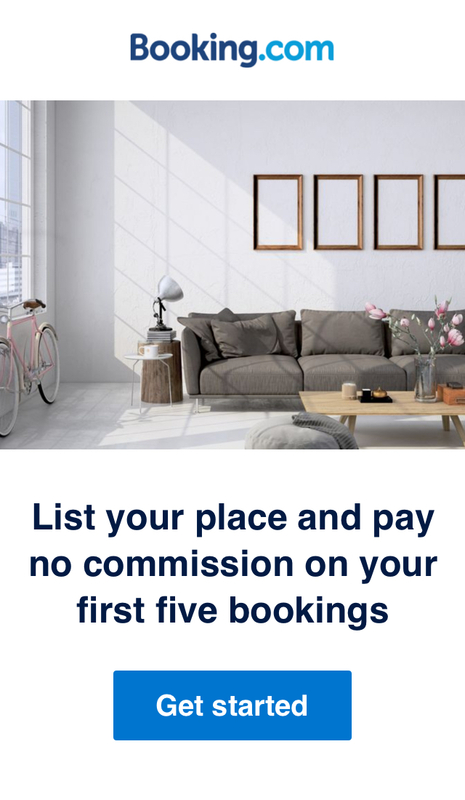 Location: Avoca Road, Off Orpen Gate Road, Hoedspruit P.O. Box 1542. Book your stay here. Early in 2015, the gates of Belmond Eagle Island closed while promises of a new spectacular design and concept were made. For almost 10 months, there was a lot of intensive work trying to rebuild the whole place by implementing environmental practices. Concrete walls were destroyed, being replaced with naturally fabricated timber and roofs started to be shaped by using thatching grass. The next step was to build independence regarding the utilities. Power generation and potable water were given on site. Imagine the spectacular opening, letting people see the new look and the new feelings transmitted by the lodge. Tent accommodation and beautifully designed dining areas made the place reflect the natural beauty of the whole region, giving a sense of adventure even when standing still. 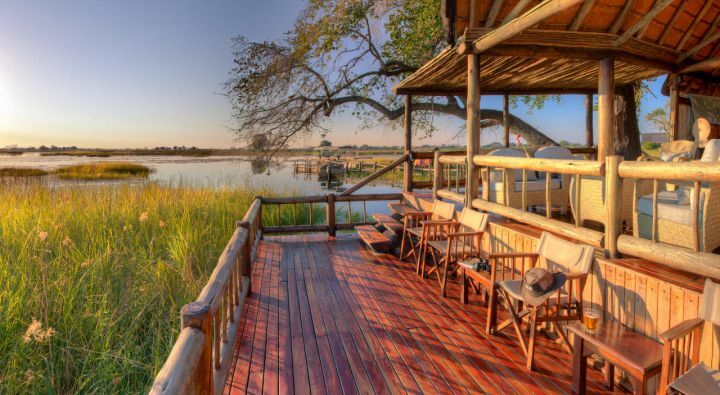 You are adding innovation and originality to your safari experience, besides having a luxurious alone time after driving around to hunt the breathtaking views around the Okavango Delta. Endless ways to get surprised and an endless desire to fall in love welcome you from your first step into this lodge. Location: Chobe National Park, Moremi Wildlife Reserve, Okavango Delta, Botswana. Book your stay here. You do not really need to crush all your savings just to take a break from the noisy cities. 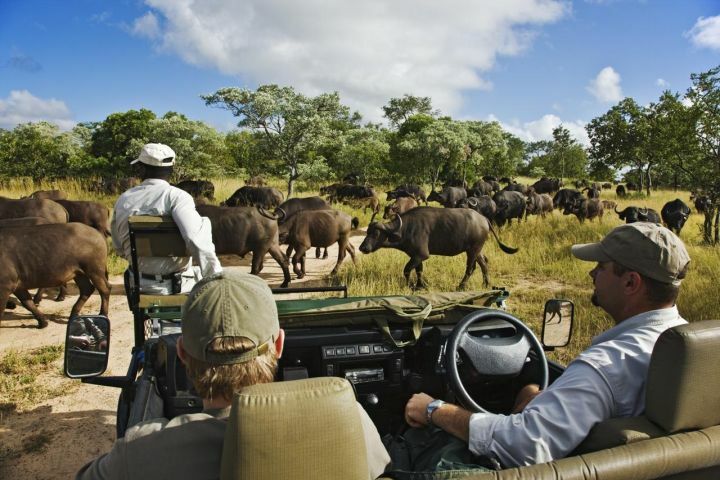 Safaris are priceless for the experiences you get there: from drives under the gorgeous African sky, to facing some of the majestic creatures that you only saw before in your favorite encyclopedia and feeling the fresh scents that come from the beautiful Kruger Park, Thornhill Safari Lodge welcomes foreign visitors from all around the world. You can enjoy a quiet time, reading your favorite book next to the rustic pool built in the yard, trying not to mess with the house pet, one cheeky leopard that has been constantly surrounded by the loving hands of the lodge owners since he was a cub. At night, drinks are served at the bar and meals are announced by the sounds of African drums, inviting you to taste the wonders the local chef prepared for his beloved travelers. Rooms look spacious and breezy, with large curtains and plenty of wood adding to the welcoming feel. Location : Portion 144 of the farm Guernsey 81 KU Hoedspruit, Limpopo Province, 1380, South Africa. Book your stay here. 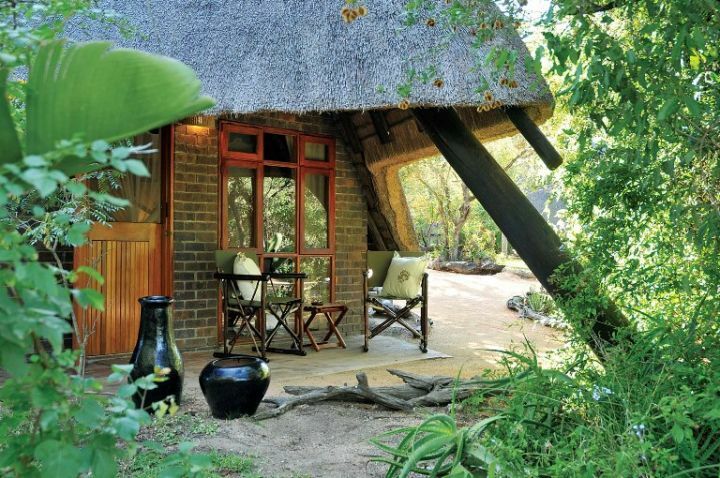 Located right next to the Sweni river from Kruger National Park, guests are spoiled with lots of close-up sights of the incredible bunch of birds and animals that drink the fresh waters of the river. It is here that guests can see elephants clean their cubs and lions walking slowly next to a gazelle (they are not hungry so there is no need for them to hunt). 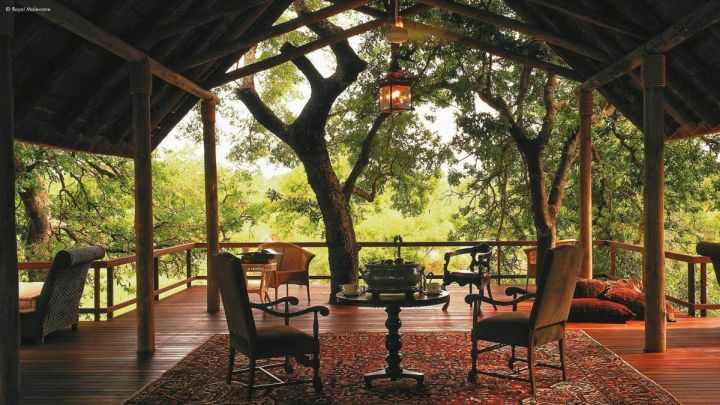 More than 33.000-acre host the beauty of Singita Sweni Lodge, being surrounded by hundreds of different trees. This quiet, intimate hideaway brings pleasure to your eyes and mind. Decks are made out of branches, having a simple design, while inside there is a calming mixture of colors and textures, fitting perfectly in these raw surroundings. Location: Sweni River, Kruger National Park, Mpumalanga, Kruger Park, 1350, Africa de Sud. Book your stay here. 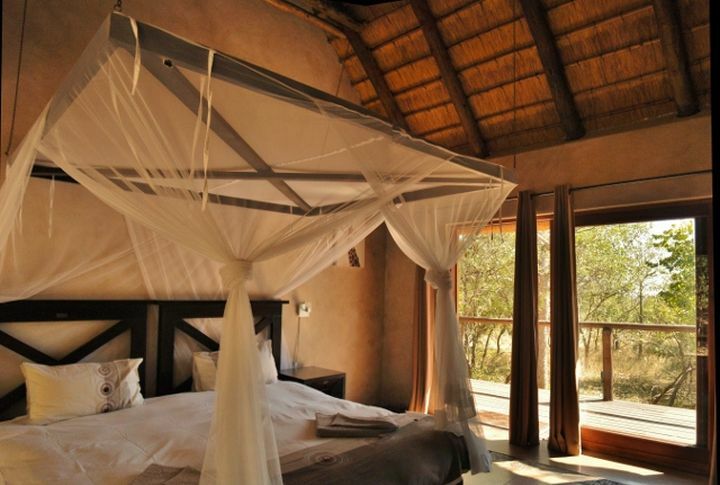 Eight gorgeous chalets await at the Cheetah Plains lodge, the place of elegance and culture in the middle of the safari. This place is filled with a contemporary ethnic design, having elegant decorations and ingenious placements of the sleeping areas, right into the gardens. 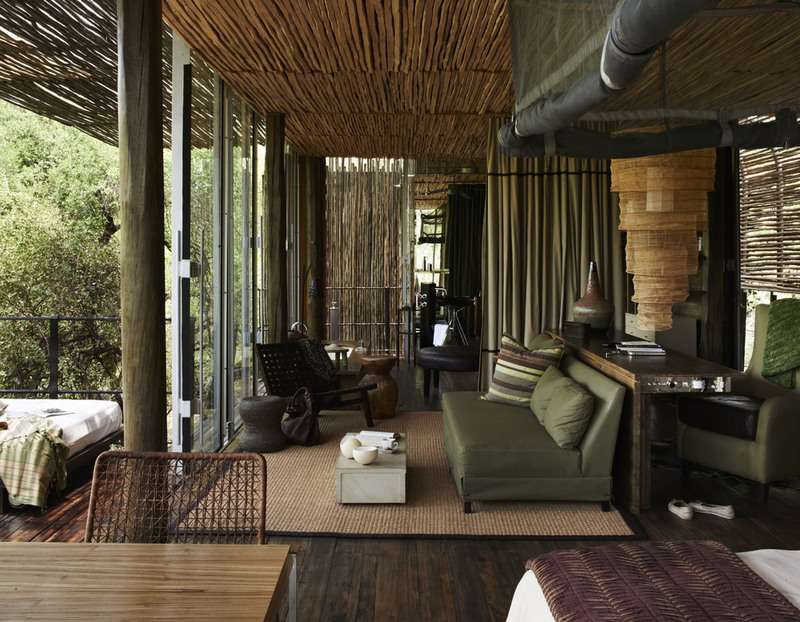 The traditional design of the lodge blends perfectly into the natural habitat, creating a harmony between a comfortable vacation and a raw safari adventure. Journeys around the camp will allow you to see what you never thought possible. Lions and leopards preparing for the night’s hunt right behind of a bush and feeling the aroma of marula trees around you will simply set your worries free. You can achieve peace of mind even by watching the dramatic African sunset or waking early in the morning to start your journey together with the sunrise. Taking a walk in the closest communities such as Dixie and Utah will give you a sense of the rural African life by sharing the enthusiasm and joy of the villagers. Location: Sabi Sands Game Reserve, S36, Kruger Park, South Africa. Book your stay here. 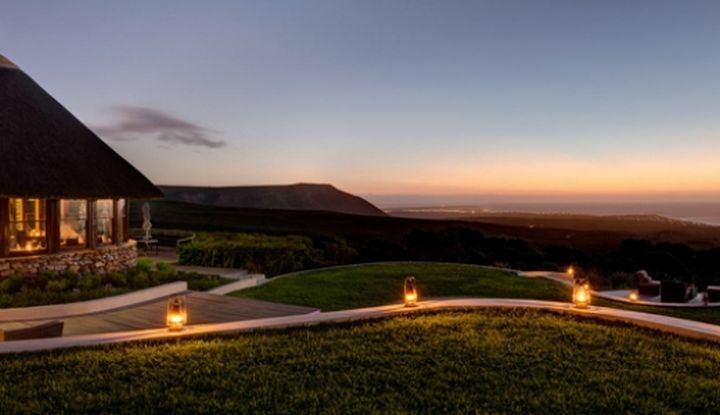 A visit to Grootbos Lodge means more than what you would expect from a luxurious 5-star stay in the wildlife of Africa. 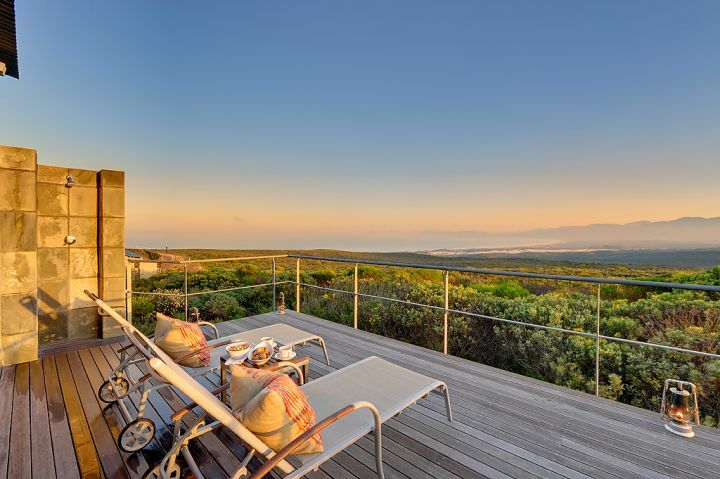 This lodge is connected to The Grootbos Foundation which strives to make a difference in the region and serve both the community and nature. Feel you want to give something back for “stealing” a part of Africa that will forever be in your heart? The staff at the lodge have three environmental-friendly initiatives, which you can be a part of. Their strategies include educating the people into the conservation of the unique biodiversity that lives around, promoting sport as an instrument of change and helping small businesses around to become sustainable as well. As a prize for your involvement, you can climb the forest hills and watch the whales dancing in Walker Bay. Location: R43, Gansbaai, 7220, South Africa. Book your stay here. You can take a deep breath at the gates of this lodge and say: this is eco-friendly perfection. 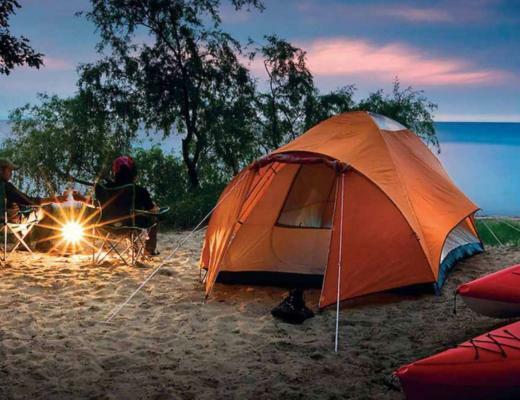 Set in one of the most shivery ecosystems around the world, this camp has everything: from being 100% solar powered to water saving systems. You can enjoy a tasty cold drink while having a look at the lions around the camp, a unique population of desert-adapted felines. And as the name suggests, the Skeleton Coast is not too far. Having to take care of certain rules around the lodge will install a healthy mindset in your behavior that will allow you to take good practices back home. Example: maximizing natural light instead of using electricity. 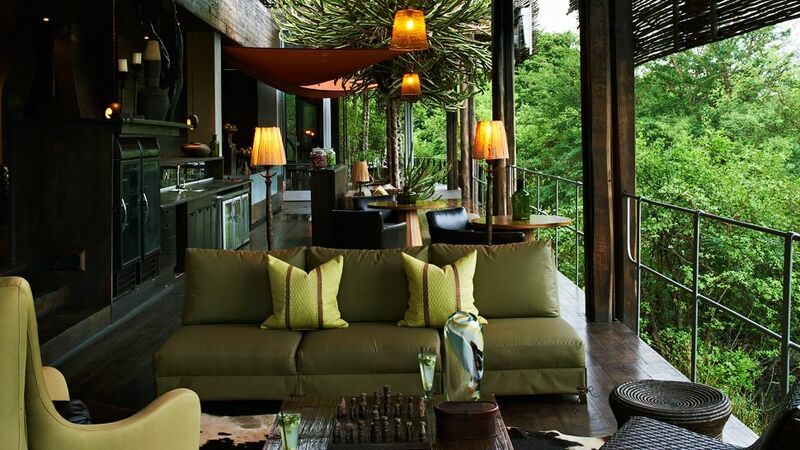 Fascinating landscapes along with the lifestyle you get to experience around this place makes this safari lodge the ultimate luxurious stay in the wild. It is difficult to decide what impresses the most: the nature or the people that care about it? 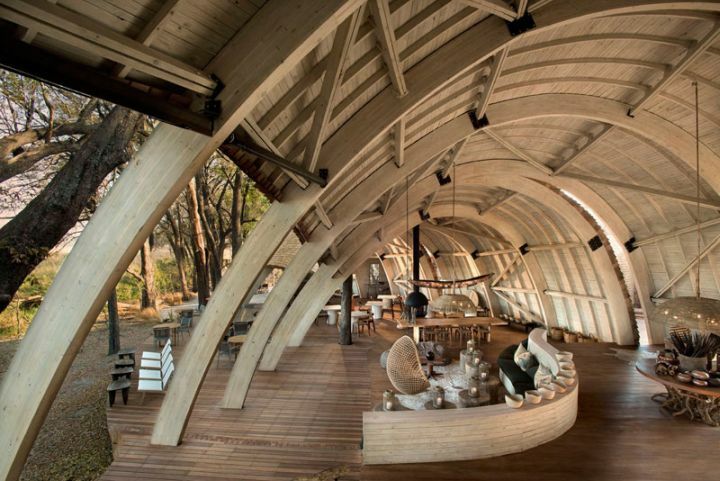 Did reading about these safari lodges make your heart beat really fast? It might mean that you are made to get a backpack and go explore. Enjoy!